hd00:15Arowana swimming in fresh water aquarium, Close-up shot. Golden asian arowana surrounded by different fish and plants. hd00:19colony of acropora coral and colorful reef fish on Koh Larn Island in Pattya city, Thailand. 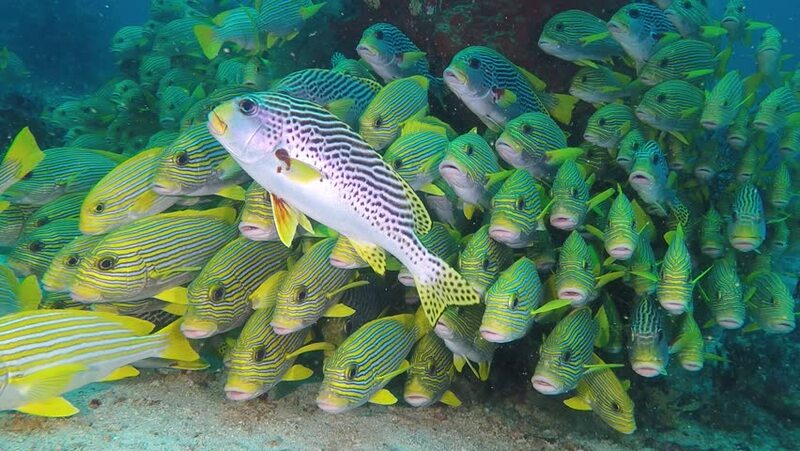 hd00:42School of striped yellow fish on background clear seabed underwater in Maldives. Swimming in world of colorful beautiful wildlife of corals reefs. Inhabitants in search of food. Abyssal relax diving. 4k00:064K Unique Organic Fluid Background. Seamless loop.